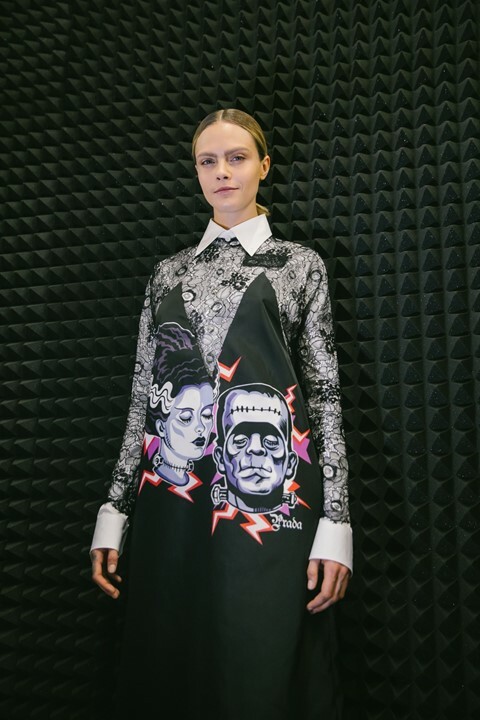 This time around, we were back in the Fondazione Prada building where last month’s menswear show took place. The setting was pretty stripped-back, and v v dark, with guests seated on soft, spongy foam seats made from what appeared to be sound insulation material. 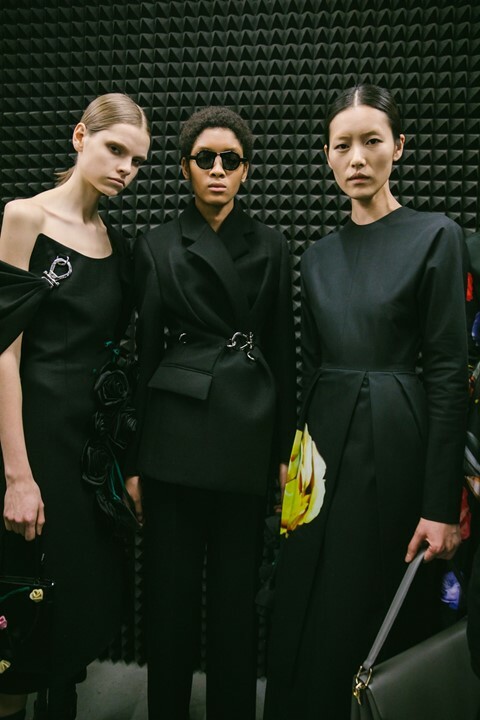 As models made their way out onto the runway, the first looks were made up of belted tailored pieces paired with heavy soled boots with pouches attached to them, all in a palette of black, black, and more black. Soon after came military jackets and bombers with utilitarian detailing, with looks finished with stripy scarves, boxy, structured bags and backpacks, and fur-trimmed caps like those seen in the men’s show. The music fit the gothic theme, with tracks including Marilyn Manson’s “Put a Spell On You” and “Bad Romance” by Lady Gaga mixed into the Tales from the Crypt and X Files soundtracks. 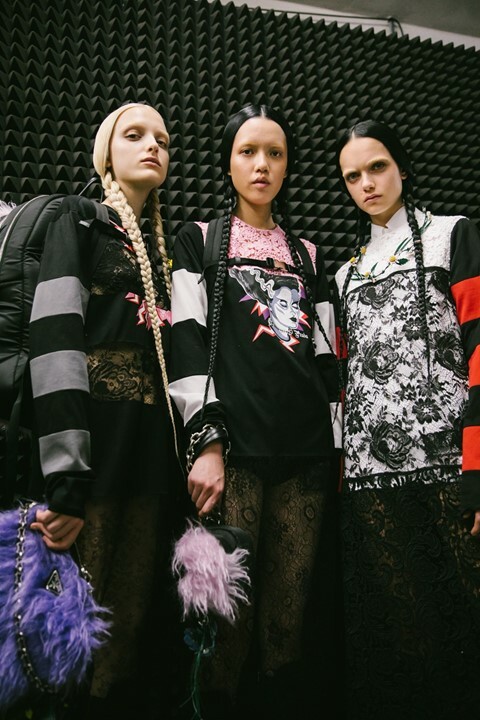 From the red and black stripes to the dark lace, much of the show called to mind don’t-mess-with-me emo teen dressing. 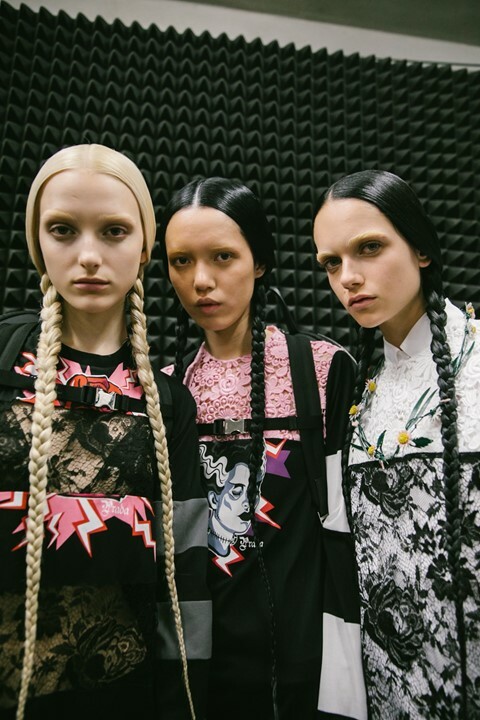 An entire group of models spotted long sleek black plaits conjured the image of one very beloved goth in particular though: Wednesday Addams. 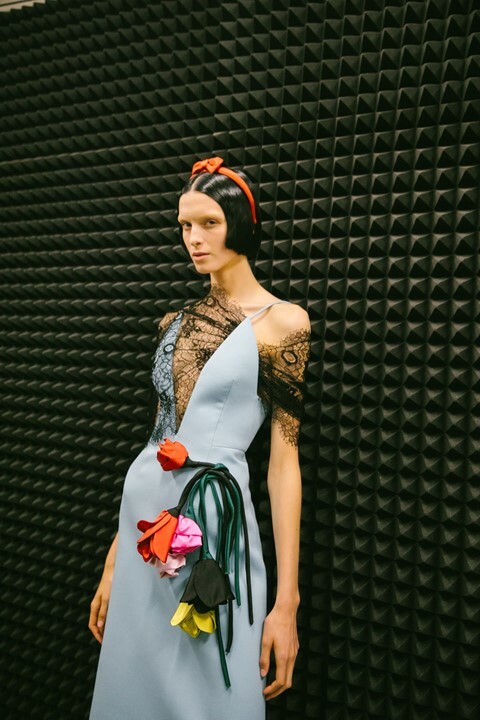 Backstage, Mrs Prada confirmed the inspiration with a laugh.